← Episode 100 – One Hundred! The episode 100 fun continues! The first official Savvy Girls Crochet-Along and Knit-Along are well underway, and we’re already starting to see some great progress. You should join in! Savvy Mom’s back and she’s in New York. Naturally, that’s a perfect chance for Deborah to interview her on-air. She also brings back the knit-lit, with a passage from book about Jean François Millet about his painting, The Knitting Lesson. 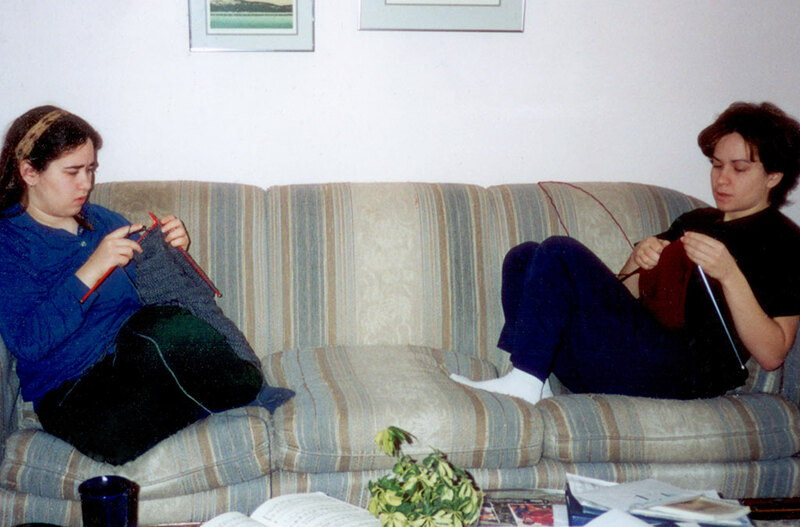 Then, we bring back an old segment, one which inspired our biggest Ravelry discussion thread: Confessions! Melanie also sneaks in a recording of her singing one of her favourite Irving Berlin tunes. And finally, as promised, the girls announce the episode 100 contest! Send us your entry however you want: email, comment, Ravelry, Twitter, Facebook… you get the idea. There are some great prizes up for grabs, so be sure to enter before July 15. 7 Responses to "Episode 100.5 – Meaty Confessions"
Hah, that’s hilarious! Thanks Rachel! The show isn’t displaying in i-Tunes yet – is there a problem with the feed? Looking forward to hearing the show. Yeah, there is a problem with the feed, sorry. We noticed it this morning and I’m working on it now. Hopefully it’ll be fixed soon. I’ve woken my husband up too when listening – shaking the bed with laughter! Congratulations on your 100th+ episode! I really enjoyed this episode….I too was a Kindergarten teacher for many years and I loved hearing Savvy Mom talk about her career and the crafting that went on in your house!…Yeah! for free expression!….Unfortunately, many children today do not have the freedom to express themselves this way at home…..or sometimes not at school either….Savvy Mom, Thank You for expressing your K philosophy…I agree totally!